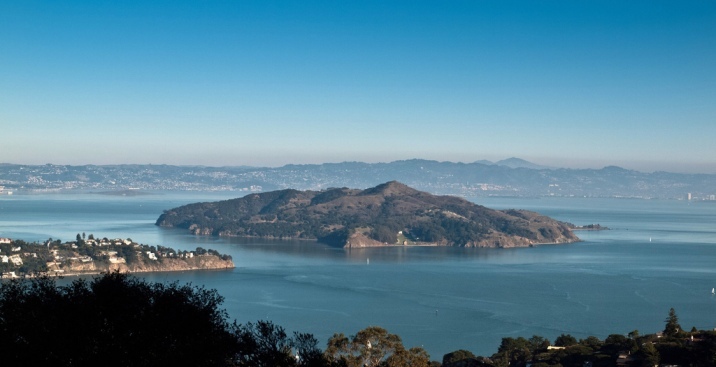 Nearly $3 million in state funding will help complete the restoration of a former hospital on Angel Island and the development of exhibits telling the story of the people who passed through during the island's term as an immigration detention center, officials announced Thursday. The former Public Service Hospital at the U.S. Immigration Station at Angel Island State Park will be refurbished for use as the Pacific Coast Immigration Center, with interpretive exhibits to tell the stories of the immigrants detained on the island, San Francisco Assemblymen Phil Ting and David Chiu said Thursday. More than 1 million immigrants from China, Japan, South Korea, Russia, Mexico, the Philippines and other countries passed through Angel Island between 1910 and 1940, when it served as an immigrant detention center. The center was intended to help enforce exclusionary policies designed to keep out immigrants from specific countries. The immigration center buildings were left to deteriorate and were scheduled for demolition until the 1970s, when Chinese poetry was found carved into the walls of detention barracks. Since that time, efforts have been made to preserve the historic facilities and increase knowledge among state residents of a site that has been referred to as the "Ellis Island of the West." "As the entry point for most Asian Americans, Angel Island was a symbol of hope but oftentimes became the final barrier to a new country," said Ting, who helped secure the $2.92 million in funding in his role as chair of the Assembly Budget Committee. "The history of immigrant exclusion must be learned so that such atrocities stay in the past." "As the son of Chinese immigrants, I know how important it is to remember the policies of exclusion at this Ellis Island of the West," said Chiu, who initially advocated for the state funding. "I look forward to visiting the new center with my son."